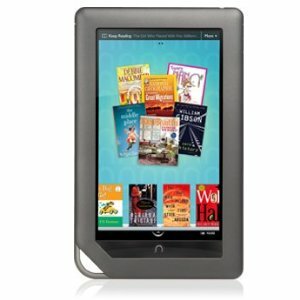 Do I Need An E-Book Reader? I thought I would present this E-Reader Buying Guide for people who may not know much about the different e-book readers out there (like the Kindle and Nook). I’ll try to explain the benefits and drawbacks of e-readers in general, and help you figure out if you’d benefit from owning one or not. Then, I’ll also look at which one might be right for you. 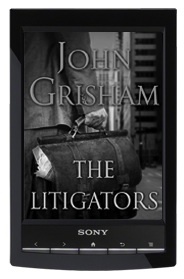 If so, odds are that you will enjoy an e-reader — we’ll find out in more detail below. If, however, you just don’t enjoy reading books and never did, then an e-reader isn’t the device for you. It won’t magically make you like reading if you hated it before. You may prefer an iPad (where you can play games and surf the web and watch movies), but it doesn’t make sense to buy a device designed for reading if you don’t enjoy reading at all. Are you an avid reader, reading a book (or several books!) a week? Are you an average reader, reading a book or two a month? Or just an occasional reader — maybe you read a couple of hot books a year or read a bit when you’re on a flight or on vacation? For avid readers, I almost can’t see NOT having an e-book reader. There are many benefits. First, you’ll probably save enough money on less expensive (and free) e-books to pay for the device several times over; e-books typically cost less than printed books, and millions of classic books (anything published before 1923) are free. Second, you’ll probably enjoy the reading experience more, as e-readers offer adjustable text sizes, the ability to search and bookmark and write notes, a built-in dictionary, text-to-speech, and ultimate portability. Third, truly avid readers often have issues with storage space, and run out of bookshelves (and closets, and storage units) to keep all their old books. Imagine carrying thousands of books with you anywhere you go (including on a trip), yet it takes up the space of a single paperback. And you can find any book (or even a favorite passage hidden somewhere in your library) with a quick text search. Nice. For the average reader, e-book readers are compelling for many of the same reasons listed above. Depending on how many e-books you buy and what types of printed books you used to buy ($25 hardcovers, used books, or the library? ), you may or may not save a lot of money by going electronic. On average, e-books cost less: new releases are $10–$13 (instead of $20+ for hardcovers), older titles are $5–$8 (instead of $7–$12 for paperbacks), there are lots of low-cost options (like $0.99 to $2.99 emerging authors), and millions of free classics like Shakespeare, Pride and Prejudice, Sherlock Holmes, etc. And it’s still convenient to throw your entire library into your purse on a trip, to adjust text sizes so every book is easy to read, to have any word definition at your fingertips, and to wirelessly download books in 30 seconds instead of making a trip to a book store or waiting for shipping. For these reasons, people who enjoy reading but don’t read as much as they’d like to, often find that they read more on an e-reader since it’s more convenient and less expensive to buy books, and it’s easier to bring their entire library with them and sneak in more reading time on the subway or at a doctor’s office. For the occasional readers, it’s a tougher call. You probably won’t save enough money on e-books to pay for the cost of the device, unless you read mostly free classics or very low-cost e-books. You’ll still get the portability and readability benefits I mentioned above, and you can use your e-book reader to do some light Internet browsing, book shopping, or Wikipedia lookups. 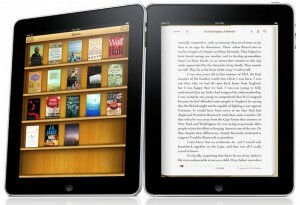 But if you prefer watching movies or surfing the Internet to reading books, you may prefer a device like the iPad, which is more multifunctional (but more expensive and worse at actually reading books), as that will give you the option to buy an e-book or two through the iBook Store or Kindle for iPad app if you ever get the urge. Are you attached to paper? I hear this a lot, even from the biggest reading fanatics, people who I KNOW would really enjoy an e-book reader if they got one. People talk about the “smell” and “feel” of books — which I quickly realized was nonsense when I got my Kindle 2. Look, I’ve always loved reading, but it’s the words on the page that move me, not the smell of paper and ink and glue. I don’t bury my nose in a book — I immerse my mind in the words. And the words are still there — better than ever, since they’re whatever size I want them — on an e-book reader. I literally have not heard of a single person who tried an e-book reader and didn’t like it because they missed the “smell” or “feel” of paper. 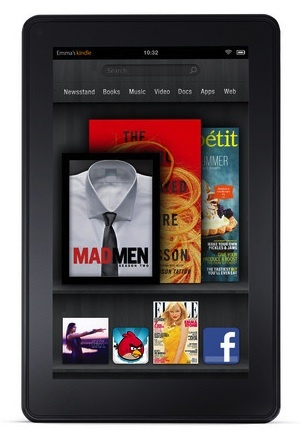 But if you’re still not sure, Amazon is very generous: order a Kindle and try it free for 30 days. If you don’t like it, send it back and get a full refund — including shipping — no questions asked. What do you have to lose? What will happen to my e-books? Will they become obsolete? Since e-books are digital, like MP3 music files, they can theoretically remain perfect forever — the pages will never turn yellow or fall out. You can back up your e-book files on a DVD or hard drive (just like you might back up other computer files) and retain them forever. And Amazon and B&N store your purchases online for you as well — even if you lose or break your e-reader, you just download them again. 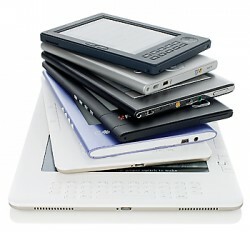 You can also read your e-books on PCs, Macs, and smartphones, and none of those are going away anytime soon. Some e-books (like the free classics, and many inexpensive e-books by independent authors — like mine) do not have copy protection, or “DRM” attached to them. This means you can always convert them from one e-book format to another, and can easily read them on any device made now or in the future. E-books are digital, so they’re not like a VHS tape or LP record that gets replaced by a new physical format (DVDs or CDs). If a new e-book format emerges, there will also be software to convert your books into the new format for you. On the other hand, most best-selling books by large publishers do have DRM attached, and you can only read them on the family of devices you bought them for: so e-books bought from Amazon will work on any Kindle (or Kindle 2, 3, or 10), and B&N e-books will work on the Nook. I recommend Amazon and B&N partially because I have confidence those two companies will be around and selling e-books and e-book readers for a very long time. Can you afford an e-reader? But how practical is it? I’ve talked above about how an e-book reader could pay for itself, or even save money in the long run for avid book readers. 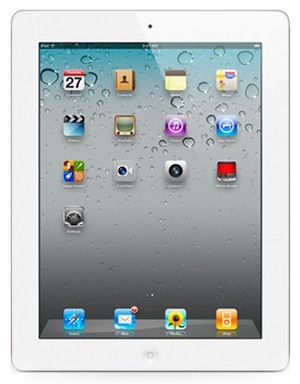 Even if that’s the case for you, there’s the initial outlay of $139–$199 to contend with. I don’t have access to your bank account, so I can’t answer the question for you. All I can say is that I am a pretty frugal guy (I don’t even have a TV, let alone cable), and I think the Kindle is a phenomenal value at $139. 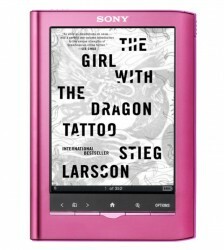 Which e-reader is right for me? This could be a whole separate article (or 3), so I’ll be brief. The bottom line is that my only recommendations for serious readers would be Amazon’s Kindle or Barnes & Noble’s Nook. Both are more similar than different, and both make excellent e-readers. Both are roughly the same price and size, and have similar e-Ink screens (see this post for the difference between e-Ink and LCD screens). But Amazon just came out with the new Kindle 3 (which I review in more detail here), which has a better screen, and is smaller, lighter, and a little cheaper than the Nook. 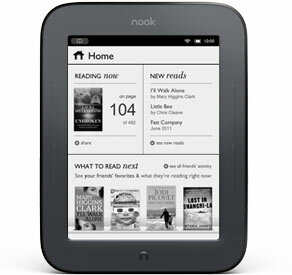 The Nook does have certain advantages: a small color LCD screen in addition to the main e-Ink screen, support for free library e-books through Overdrive, an SD memory card slot, and a user-replaceable battery. On the other hand, the Kindle 3 is faster, has text-to-speech, has generally better software, and the battery lasts longer. Another factor is whether you prefer shopping at Amazon or Barnes & Noble. 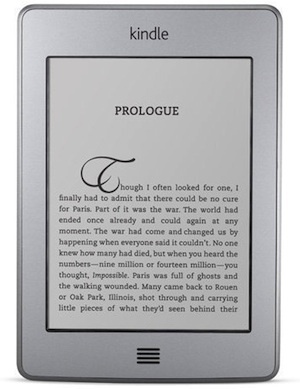 UPDATE: I cover this topic more thoroughly in this Holiday E-Reader Buying Guide. 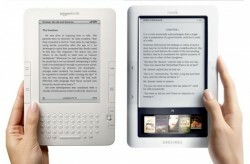 Both the Kindle and Nook come in two versions: Wi-Fi only, and Wi-Fi + 3G. The Wi-Fi only versions can connect to wireless networks the same way your laptop can: you may have Wi-Fi access at home (if you have a wireless router), at work, at Starbucks, McDonalds, or some hotels and airports. The Wi-Fi + 3G models can connect through Wi-Fi or through the AT&T 3G cell phone network — so they can connect pretty much anywhere a cell phone gets signal, and they include free lifetime 3G service. Keep in mind you don’t need any sort of connection — you can read books without it, and you can buy books on your computer and transfer them to your e-reader with the included USB cable. But wireless access allows you to shop, buy, and download books on-the-go, connect to the Internet, and sync your place in the book across your e-reader and Kindle for iPhone or B&N eReader apps. The Kindle 3 Wi-Fi costs $139 and the Kindle 3 Wi-Fi + 3G costs $189 (with free 2-day shipping). 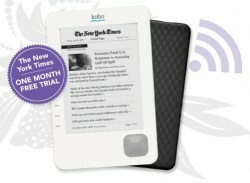 The Nook Wi-Fi costs $149 and the Nook Wi-Fi + 3G costs $199 with free shipping. At the end of the day, my bottom-line recommendation is for most people who enjoy reading to purchase the Kindle 3 Wi-Fi for $139. 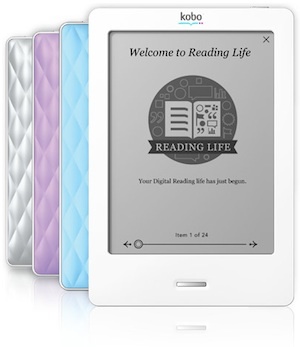 At that price, you’re getting the newest and best e-reader on the market, the device with the best screen, longest battery life, best software, lightest weight, and best e-book store. If you prefer the flexibility of free 3G coverage and can afford another $50, the Kindle 3 Wi-Fi + 3G for $189 is also an excellent value. 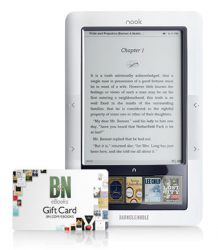 Finally, if you prefer B&N, or if one of the Nook’s advantages (like library e-books) is a “must-have” feature for you, then I’d recommend one of the two Nook models. People who like to read won’t go wrong with any of those 4 choices.